Amber is a natural material and its properties (colour, form, size and inclusions) were developed by nature and are unique for each piece. That is why when purchasing amber decorations one must bear in mind that they may differ from samples. 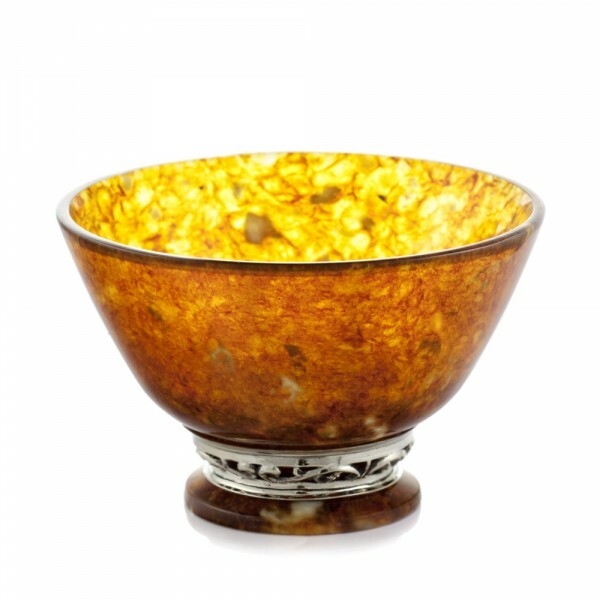 “Laces” Tea Bowl is a unique handmade object created of natural Baltic amber. 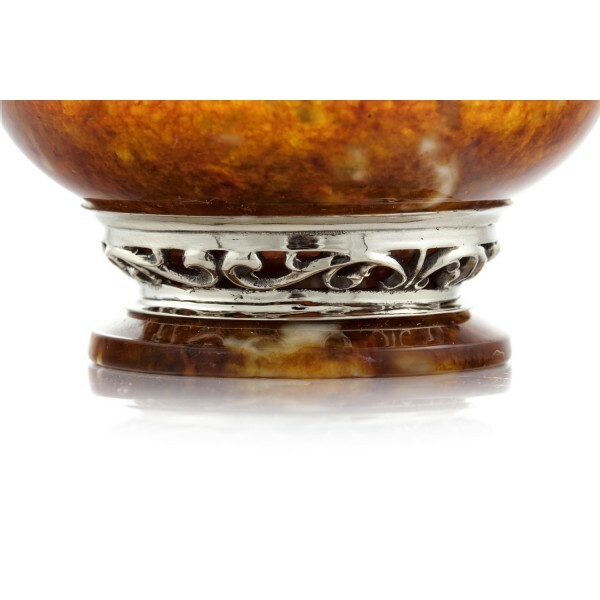 The form of the tea bowl, classical in its elegance, renders the warmth and transparency of this organic mineral, while bronze decorative elements accentuate its light and exquisite design. “Laces” Amber Tea Bowl will undoubtedly become an exceptional stylish addition to your interior.